Ever since the revelations about the bridging loan between the FAI and former Chief Executive John Delaney were made public eight days ago, you sensed the FAI boss was on borrowed time in his job. There's nothing illegal about a major company and it's chief executive having loans between each other. It happens all the time in big conglomerates. It's just supposed to be written down somewhere, principally in the company's annual accounts. We saw no sign of it at the time. Nor is it unusual a big company would pay its top worker's rent if that's what he or she was doing with their house. But it too has to go down in the accounts, not least for the Revenue who usually treat rent being paid by an employer as a Benefit in Kind to be taxed. Delaney spent last week dodging the media even as the Irish senior and U-21 teams trained for big games this weekend. Did he do it on purpose? Maybe, but it was also the week in which Mick McCarthy returned to the Irish football team and you would expect the chief executive to be knocking around the training ground, basking in the new beginning. He wasn't to be seen, and you suspect it had more to do with bridging loans than the return to Irish football of a man who was described to me a long time ago by John's father Joe, then FAI Treasurer, as "the man we need to lead us". Joe was right about the no-nonsense centre-half and now the son was putting his faith, and Ireland's football fate, in McCarthy. But he didn't revel in it. A lengthy FAI statement on Saturday did nothing to make clear a lot of things. What is to be Delaney's salary in his new post as Executive Vice-President for FIFA and UEFA affairs? Does Delaney answer to the incoming chief executive, or vice versa? And who might that new CEO be? 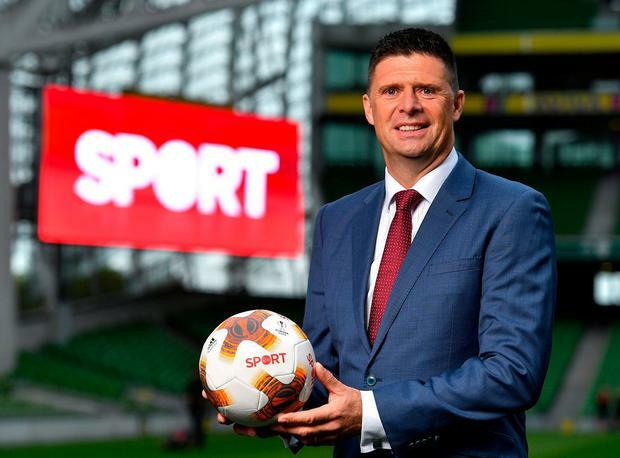 Would Niall Quinn, a former Premier League chairman, remember, go for the gig, given the plans he outlined for major investment in under-age football? Will it be an in-house appointment, or will the FAI go for an outsider? But would someone come in from outside football, with the huge presence of Delaney, a well-connected football man around Europe, still there in the Abbotstown offices? And speaking of Europe, this new job is all about keeping Delaney on the UEFA Executive Committee. Delaney is a major mover in European football. He swung it so that the Euro 2020 qualifying draw was staged at the National Convention Centre in Dublin in December. Ireland will host the UEFA Under-17 Championship in May and hope to jointly host the U-21 competition with Northern Ireland in 2023. There's also the dream of bringing another Europa League final, as well as the Womens' Champions League final, to the Aviva Stadium. And of course the big prize to be won is to be part of a World Cup finals hosting in 2030 with England, Scotland, Wales and Northern Ireland. So there would be plenty of work for Delaney in his new role. There are many questions to be answered, not least when he leads the FAI delegation to the Dail Committee on Sport early next month. That could be a testy meeting where Delaney will have to answer serious questions about how the FAI has been governed over recent years. Moving sideways last Saturday night won't cut the mustard there.